Vence is a small and pleasant town located just inland from the Cote d'Azur. It has kept its traditional Provencal atmosphere, while having the Riviera hotspots of Monaco, Nice, Monte-Carlo and Antibes just a short drive away. Along with nearby St-Paul-de-Vence, there's more contemporary art here than anywhere else in France. In 1943, Matisse arrived in the town to escape the bombing campaign along the coast, yet was soon struck down by a mystery illness. The town's Dominican Sisters brought him back to health and, as a way of saying thank you, he gave the community the Chapelle du Rosaire. He designed every last detail from the exterior walls to the candlesticks and even the priest's garments. The old town has been beautifully preserved. A large number of medieval buildings form a tight circle around the central square. There are five gateways to get in, each with a unique design. 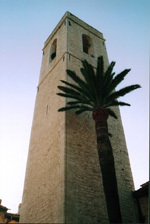 The port d'Orient is the largest one and was designed so that the local bishop, Monseigneur Pisani de la Gaude could arrive at his Episcopal palace without having to leave his carriage. Vence has had a long history of artistic talent. The town is full of galleries showcasing the best of its many renowned residents' artwork. One such individual is Pierre Vidal who described the town as 'the sweet nest'. Another infamous resident was the writer, doctor and seer, Nostradamus, who also had kind words to bestow upon the town, "Garden of Vence, marvel of Provence". Vence has always been a market town. If you want to try some of the local produce then the best place to go is Rue du Marche. You shouldn't have any trouble finding it if you follow the scents coming from the fish, flower, honey, bakeries, fruit and vegetable stalls. British Airways, EasyJet, British Midland, Flybe and Jet2 all offer direct flights to Nice from the UK. You can also reach Nice by train thanks to RailEurope. The TGV, meanwhile, will take you to Aix-en-Provence. Property prices do get slightly cheaper as you head inland, however, Vence is still a highly desirable town and its property is reasonably expensive. There is an active rental market. 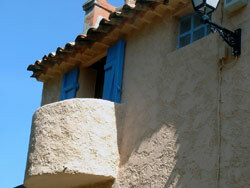 At the time of writing we have a 5 bedroom Provencal villa with a swimming pool for €840,000. Do you know Vence better than we do? Do you have photos of Vence? Just inland in the south of the Alpes-Maritime department, within the Provence-Alpes-Cote d'Azur region. Access: The nearest airport is Nice which has a large number of regular flights from the UK. Economy: Tourism plays a large part in this traditional town, with a heavy emphasis on art. Interesting fact: Matisse lived here during World War II and later designed the Chapelle du Rosaire.